Stan Lee wrote the gospel of the Marvel Universe and I became a true believer. With Stan passing away on November 12, 2018, I can’t help but look back at the influence he had in my life. More than any other religious teaching or adult influence, Stan’s characters shaped my morality and my ethics. I suspect a great number of adults also feel the same way, based on the vast outpouring of support and memories after Stan’s death. Like many other youths, I found myself through his characters and stories. Spider-Man fascinated me as a child, even before I could read or write. When I was old enough, I found I could relate to Peter Parker better than most of my other role models. Growing up Catholic, it was harder for an 10-year-old boy to find commonality in characters and stories 2,000 years foregone. In today’s churches, where even the role models, the priests and those set to protect the innocent are the ones preying on the children or failing to protect them with cover ups, you can see where a fictional superhero offers more solace and stability. My adult role models tended to be hypocritical, purporting to live by one ideal, but betrayed by their actions or words. Racism was prevalent in my house growing up, yet characters like Peter Parker or Matt Murdock showed me what true integrity and acceptance is like. They showed me that not only do you have to wear the costume, you have to do good in this world. Actions go hand in hand with beliefs. Stan’s characters didn’t have easy lives, either. Most struggled just to get by in their regular lives. And yet they would never give up. Daredevil took the punches and kept going. The Avengers would assemble in the most difficult of odds. 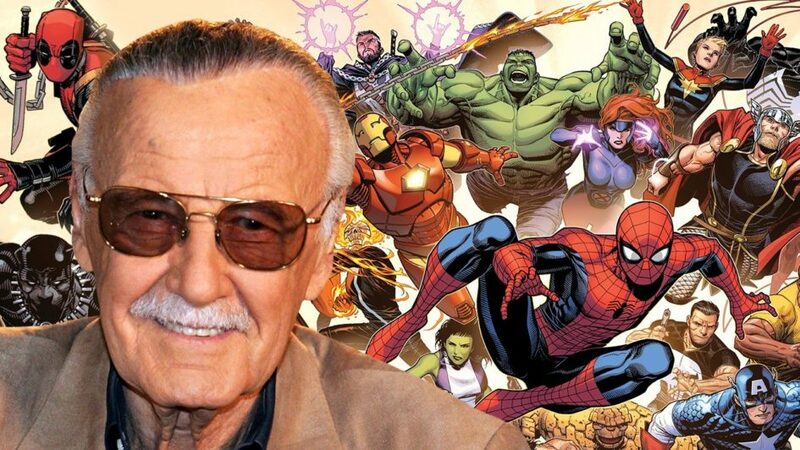 Stan gave us his greatest commandment: “With great power comes great responsibility.” It’s a mantra many heroes, both fictional and real, would strive to live by. It figures predominately into my own life. I’d like to believe that my career in child welfare was shaped by Stan Lee in some fashion. Stan’s writing influenced me so much so, I named my son after Peter Parker. Even though his mother vetoed “Peter” as a first name, we gave him “Parker” as a middle name. Stan is gone, gone to the great beyond. Is he a Watcher now? A Beyonder? Part of the power cosmic he wrote about? Wherever he is, he will be remembered. Thanks Stan. Thank you for making Spider-Man. Thank you for making so many of my heroes. Thank you for making me who I am: A better person in this harsh world, trying to be the better heroes of the Marvel world. Your art made us happier, but it also brought out the good in us.